?December 19, 2018 ?All Users ?REMINDER: Due to the holiday season, PETRINEX and the BUSINESS DESK will be closed from December 25-26, 2018 and on January 1, 2019. Petrinex will be open on December 27th, 28th and 31st, 2018. Petrinex will continue regular operations at 6:00am, Tuesday, January 2nd, 2019. See the January 2019 Petrinex/Service Desk Hours of Operation Calendar for more information on Petrinex hours for the balance of the month. ?December 19, 2018 ?All Users ?Department of Energy Christmas Closure: The Department of Energy's offices will be closed from December 24th, 2018 to January 1st, 2019, inclusive. Although Petrinex will be open December 27th, 28th and 31st, there will be no processing of information by the Department during this closure period (rejection notices, AC1 turnarounds etc.) until January 2019. 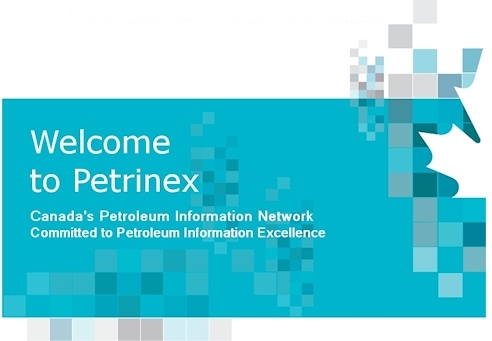 Royalty clients anticipating feedback from the Department on information submitted to Petrinex are encouraged to submit this information before this closure period. ?December 7, 2018 ?AB Users ? ?Alberta Energy has finalized the Modernized Royalty Framework (MRF) Guidelines. The guidelines can be found on the Alberta Energy website under the Oil section, Legislation, Guidelines & Policies. Alternatively they can be found under the Natural Gas section, Legislation, Guidelines & Policies For any questions regarding the guidelines, please email MRF inquiries at Energy.MRFInquiries@gov.ab.ca. ?November 29, 2018 ?AB Users ?Reminder: Both 2014 and 2015 production years will become statute barred effective December 31, 2018. Under the new legislation, statute barred requests to keep the 2015 production year open for amendments will no longer be accepted. 2014 remains under the previous legislation. For further information please review the "Important Changes to Statute Barred Production Reporting Effective December 31, 2018" in the November 2018 Gas Royalty Operations Information Bulletin published on the DOE Website (https://www.energy.alberta.ca/NG/LGP/Pages/GRIB.aspx) and also available on the Petrinex Website (https:/d26/BB/Pages/AMEIP.aspx) and clicking on DOE Gas Information Bulletins.